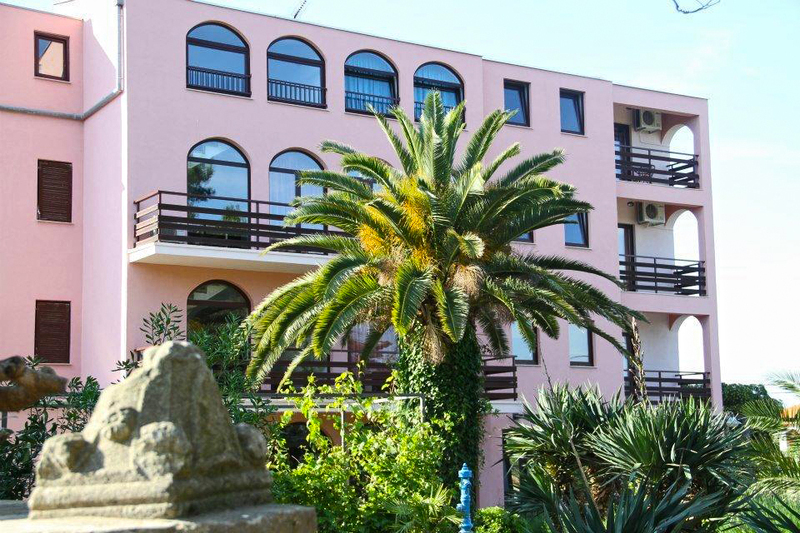 The hotel is situated on the peaceful Bay of Batalaza, next to the old family summer residence from the year 1525. It is surrounded by pine trees and only 60 metres away from the beach and only ten minutes walking from the village of Ugljan where you will find restaurants, bars, and shops. Links to the public transport network are nearby the hotel. 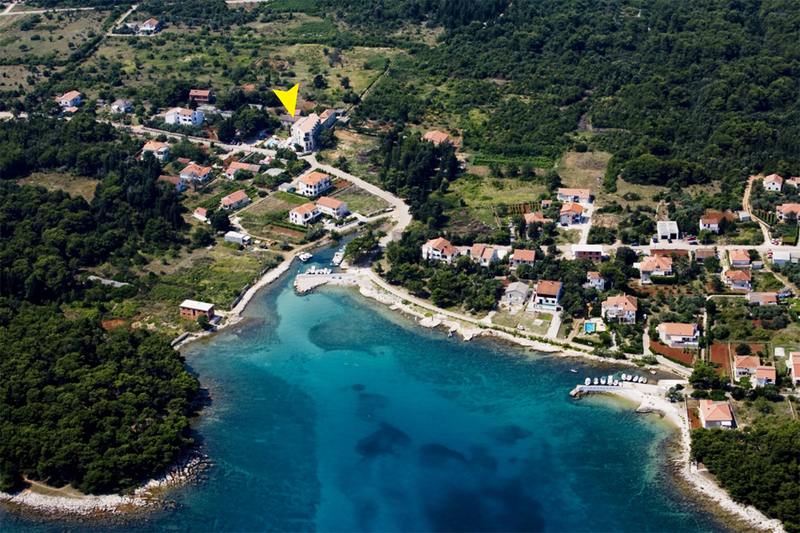 This is a small family hotel on the island of Ugljan, one of the most picturesque islands on the Zadar Archipelago. 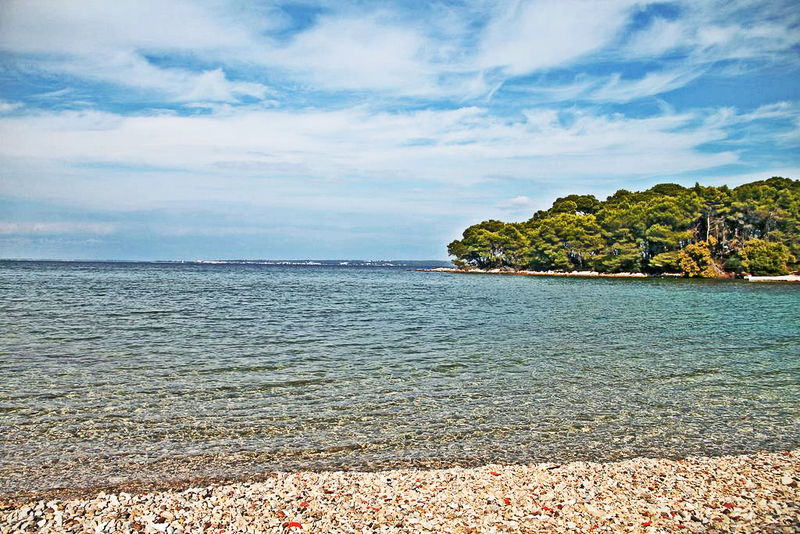 Guests can enjoy the beauty of this eternally green island, covered by olive groves, idyllic coves and colourful fishing ports. It has been tied to the sea, seafaring and fishing for generations. More than two thousand years of traditional olive processing has left thousands of olive trees that offer oil of an exceptional quality and aroma. 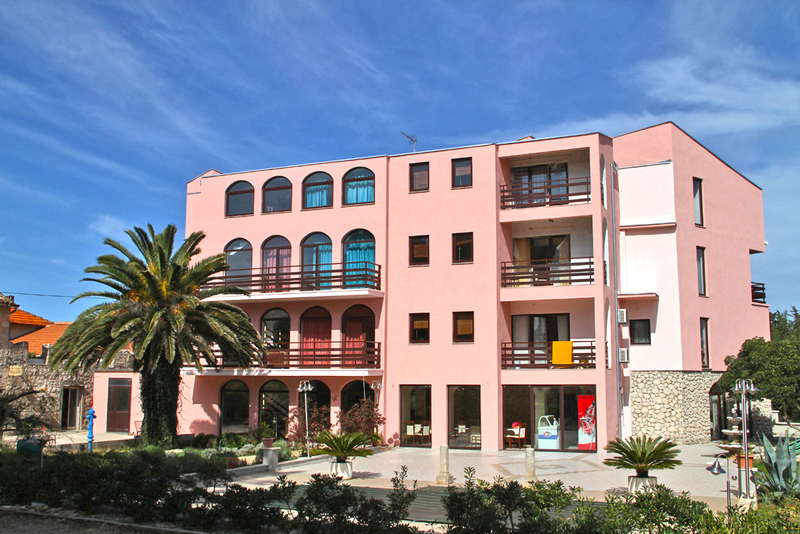 Partly renovated in 2009, there are 16 rooms and 2 apartments in this family-friendly hotel. Wireless Internet access and parking are free for guests of the hotel. We have double rooms, triple rooms and apartments spread over 4 floors. 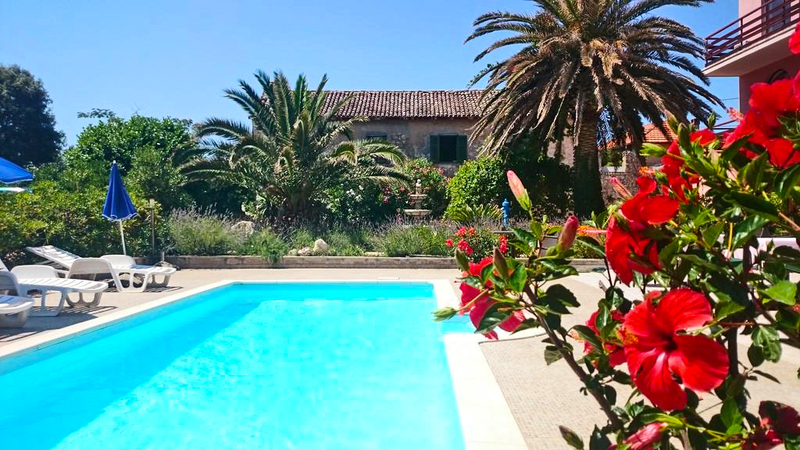 All of the rooms have air conditioning and are equipped with a telephone, Internet access, TV, bathroom with shower, and a balcony with sea or park view. 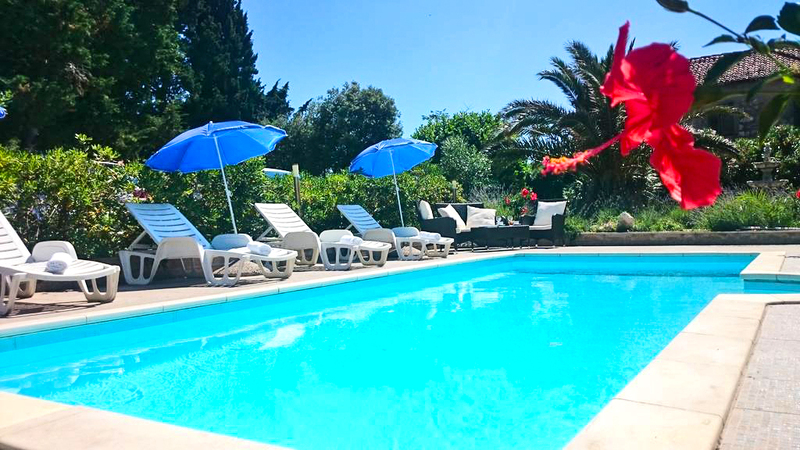 The hotel has an outdoor freshwater swimming pool with a sunbathing terrace with sun loungers and parasols. 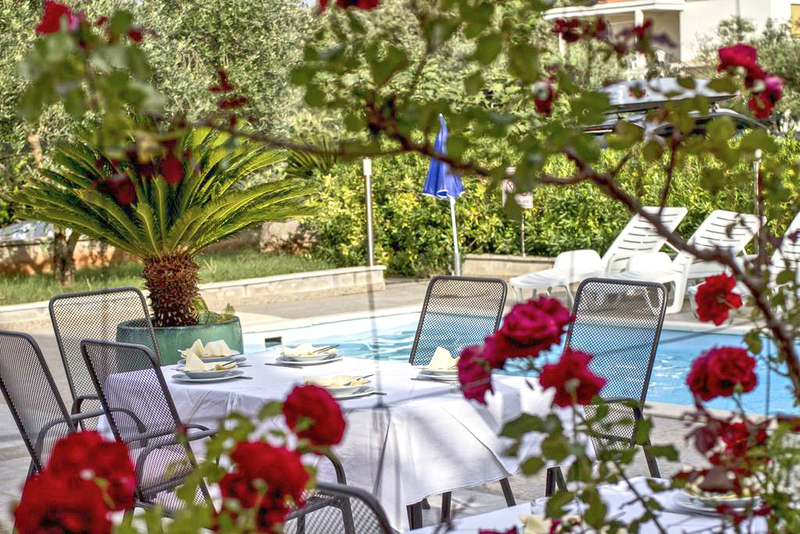 The evenings on the terrace by the swimming pool are particularly pleasant and romantic. Guests can also enjoy a drink from the poolside snack bar. Diving, tennis and biking also feature. There is a rocky/pebbly/sandy beach nearby. Note that children aged 12 and older are charged the adult rate.